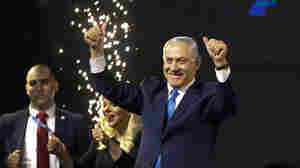 Analysis: Does Netanyahu's Win Maintain Status Quo Or Push Israel Further Right? 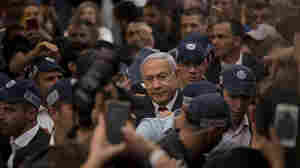 April 12, 2019  The Israeli prime minister's fourth consecutive term — fifth total — comes as he flirts with lightning-rod issues and hard-right and religious factions. April 11, 2019  Omar Barghouti is one of the founders of a Palestinian-led boycott movement intended to pressure Israel on its occupation of the West Bank. His visa to enter the U.S. has apparently been revoked. 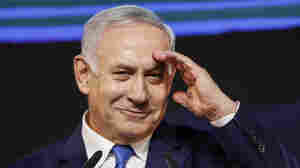 April 10, 2019  With almost all votes counted, Prime Minister Netanyahu has the best chance of forming a government of right-wing parties. His main challenger has conceded defeat. April 9, 2019  The final results of the Israeli parliamentary election are too close to call. 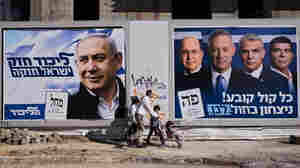 The election is largely seen as a referendum on Israel's longtime right-wing leader Benjamin Netanyahu. 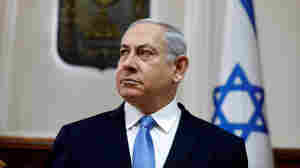 April 8, 2019  In one of his last campaign moves, Prime Minister Benjamin Netanyahu made a far-right pledge: If re-elected, he would annex Jewish settlements in the occupied West Bank. April 7, 2019  The prime minister's move appears to be aimed at galvanizing support among his nationalist base and right-wing political allies before Tuesday's election. 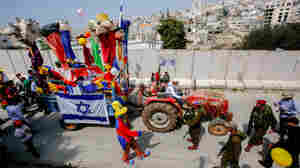 April 6, 2019  Israelis go to the polls this Tuesday, April 9. 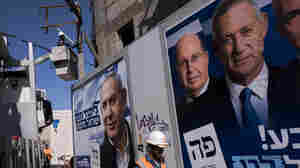 A win by Netanyahu could make him the country's longest-serving prime minister — and take Israel further to the right. 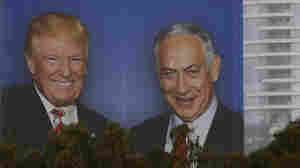 April 1, 2019  The Israeli leader and his Likud party are waging a mudslinging campaign on social media, taking a page from the prime minister's close ally President Trump in style and substance. 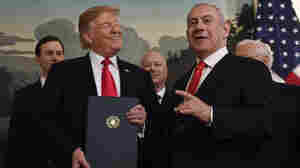 March 28, 2019  Aaron David Miller argues that the president's recognition of Israel's sovereignty over an area considered occupied territory by most states will undermine Trump's agenda. 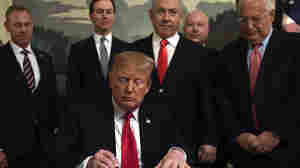 March 25, 2019  President Trump said the move, reversing decades of U.S. policy in the Middle East and drawing sharp international criticism, was "a long time in the making." March 11, 2019  The remark made less than a month before Israeli legislative elections prompted many people — including Israel's president and the star of Wonder Woman — to defend Israel's Palestinian Arab minority. March 7, 2019  Constituents of Rep. Ilhan Omar, D-Minn., voice concern over recent controversial comments. On Thursday, the House of Representatives passed a resolution condemning anti-Semitism. 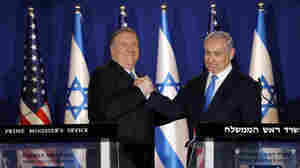 March 7, 2019  For half a decade, Matti Friedman has been working hard, and publicly, to dispel easy narratives about Israel. 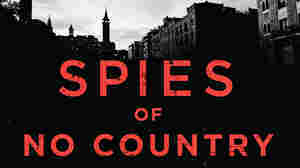 In his book about four spies, he aims to show that Israel is "more than one thing." 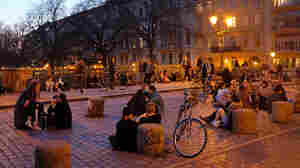 March 7, 2019  Berlin's buzzing food scene, its fine cultural offerings and its real estate boom all have the imprint of the city's burgeoning Israeli community.